Not only are these ideas quick and easy, but they're tasty, too. Popsicles might sound like they're loaded with sugar, but they don't always have to be. 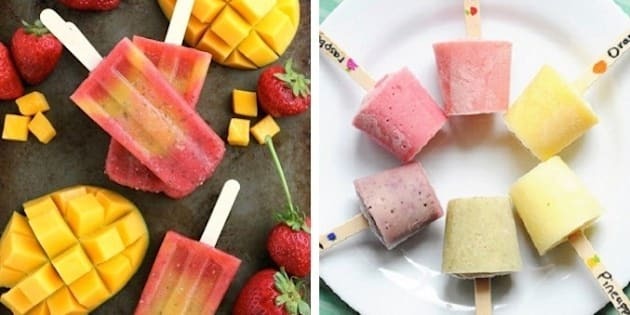 In fact, homemade popsicles that include fresh fruit with either yogurt, coconut water or almond milk can actually be quite healthy, as well as tasty. If you want a surefire way to get more fruit in your kids' diets, then we suggest you try one of the healthy popsicle recipes below! From creamy peach popsicles to rainbow fruit pops, your kids will devour these in no time.